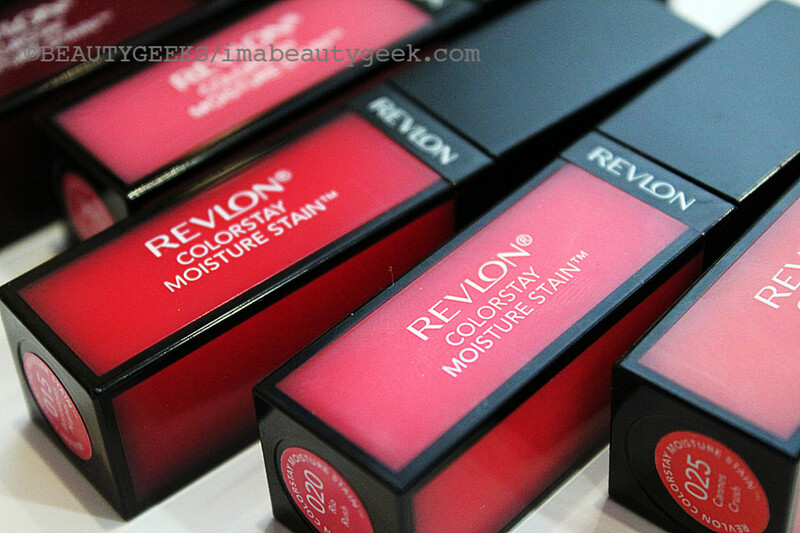 By now surely you&apos;ve tried a Revlon Colorstay Moisture Stain lip colour. I&apos;ve been meaning to gush about them for what feels like months (it&apos;s probably months). I&apos;ve done so in person many times in response to "What&apos;s on your lips? It&apos;s so pretty!" -- now I&apos;ll gush here. 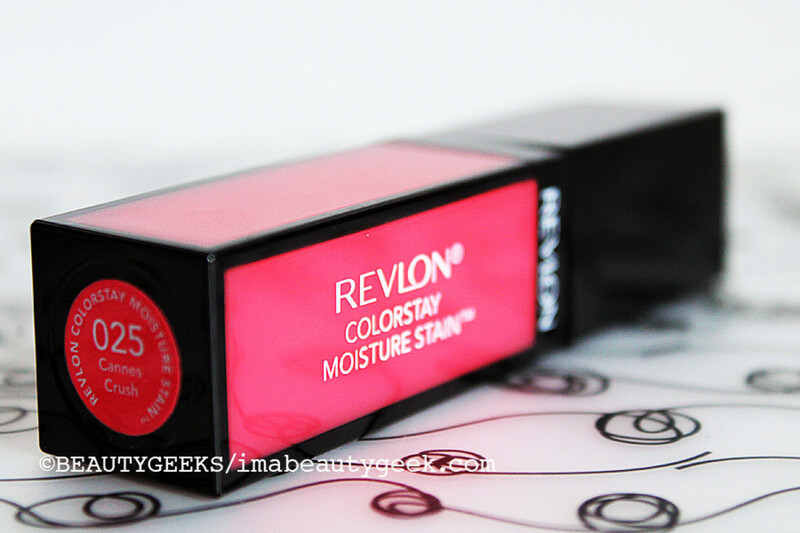 I loved the first Revlon Colorstay Moisture Stain I tried so much that I wore only that shade for ages. It became part of my back-of-the-cab routine: bright lips, plus just a wee dab of the same colour on cheeks, black liner along the upper inner waterline and mascara. 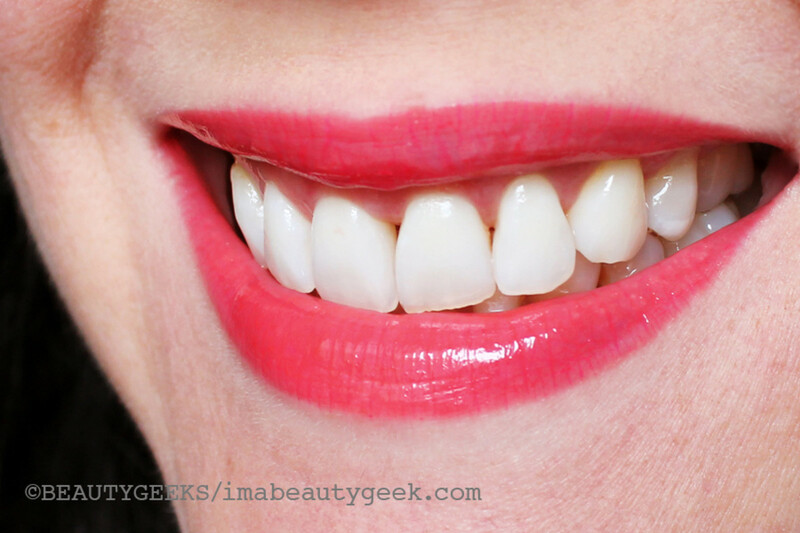 The bright lip I wore for weeks was Revlon Colorstay Moisture Stain in 015 Barcelona Nights. But the shade I&apos;m wearing in this post isn&apos;t that shade. When I switched to something different (I don&apos;t rememer what or why), I tucked my Barcelona Nights away and well... I haven&apos;t relocated it yet. Oops. 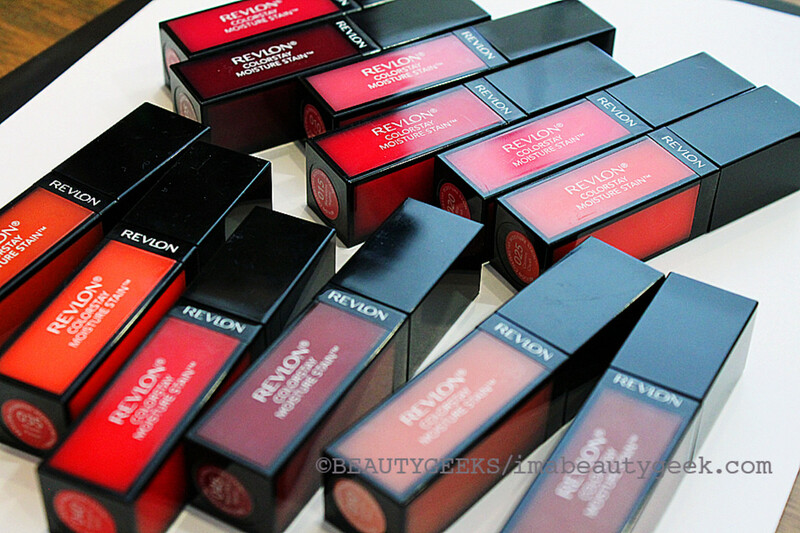 No matter; there are 12 Revlon Colorstay Moisture Stain shades from which to choose. 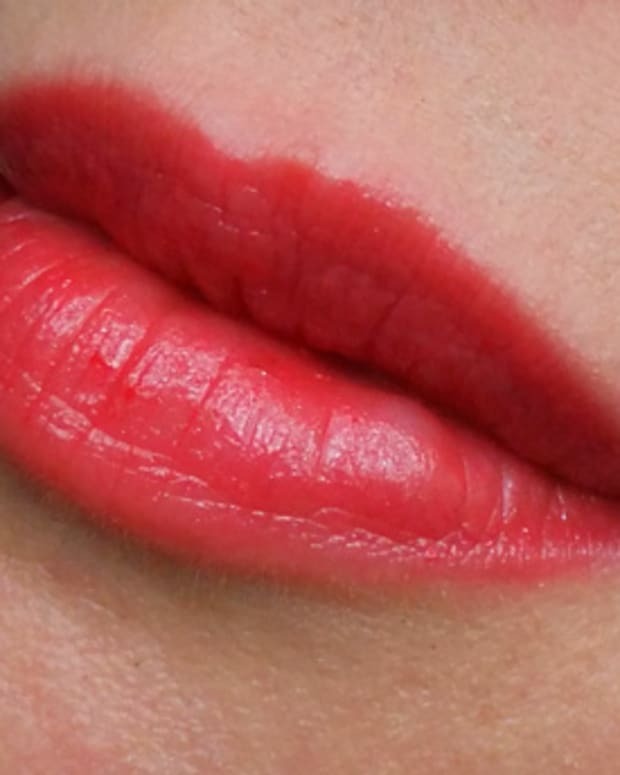 A bit more pigmented than sheer -- let&apos;s call them demi-sheer -- they&apos;re a liquid consistency that hits between stain and gloss, a bit like the L&apos;Oreal Paris Shine Caresse lip colour that launched a couple of years back. Made with aloe and Vitamin E, Revlon Colorstay Moisture Stain is non-sticky (unless you glob it on) and comfortable for hours. At some point the colour does settle into a bit more of a stain finish than a gloss. And as I demonstrated for friends at dim sum once -- *grin* -- it can be perfect on cheeks; you need the tiniest dab. 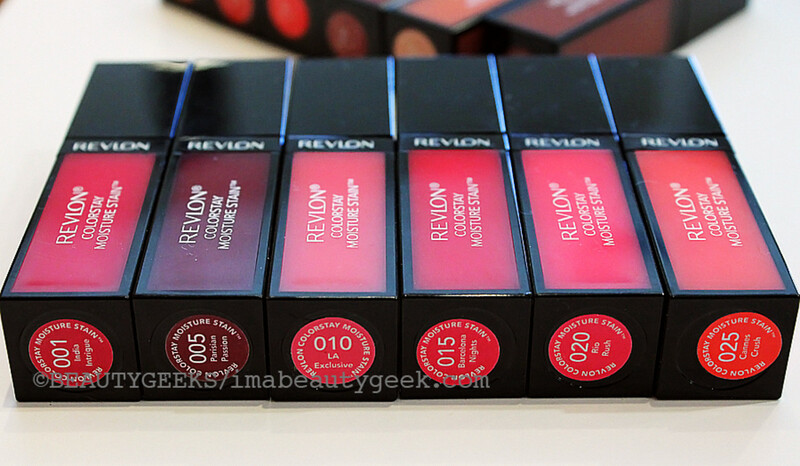 These are the first six in the Revlon Colorstay Moisture Stain lineup, the cooler shades: Revlon Colourstay Moisture Stain in 001 India Intrigue, 005 Parisian Passion, 010 LA Exclusive, 015 Barcelona Nights, 020 Rio Rush, and 025 Cannes Crush. The six warmer shades: 030 Milan Moment, 035 Miami Fever, 040 Shanghai Sizzle, 045 New York Scene, 050 London Posh, and 055 Stockholm Chic. 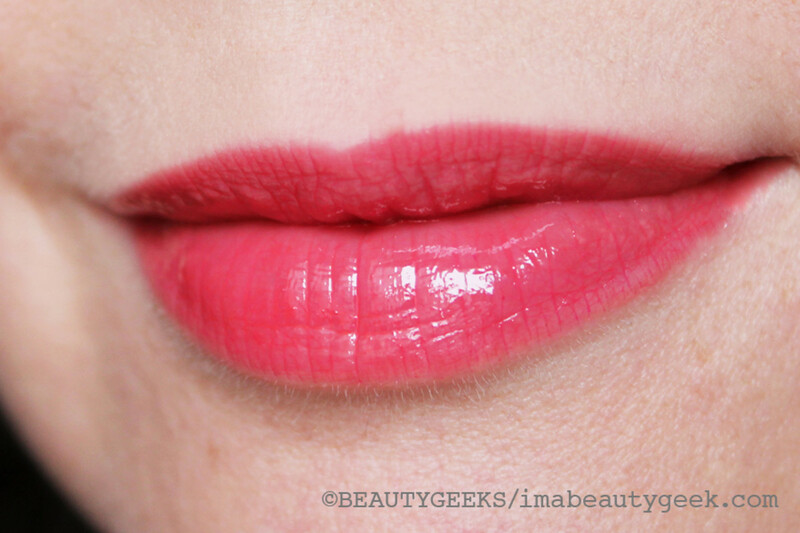 This is Revlon Colorstay Moisture Stain in 025 Cannes Crush. The shade I wore that day (see below), Cannes Crush is a juicy, fruity shade that pretty much every woman needs in her natural-makeup kit. And it works beautifully with Shu Uemura Drawing Pencil in ME Pink on eyes -- it has enough pink to co-ordinate, and enough red to keep things interesting rather than matchy-matchy. It&apos;s also brilliant as blush; it&apos;s on my cheeks in that Shu Uemura link. 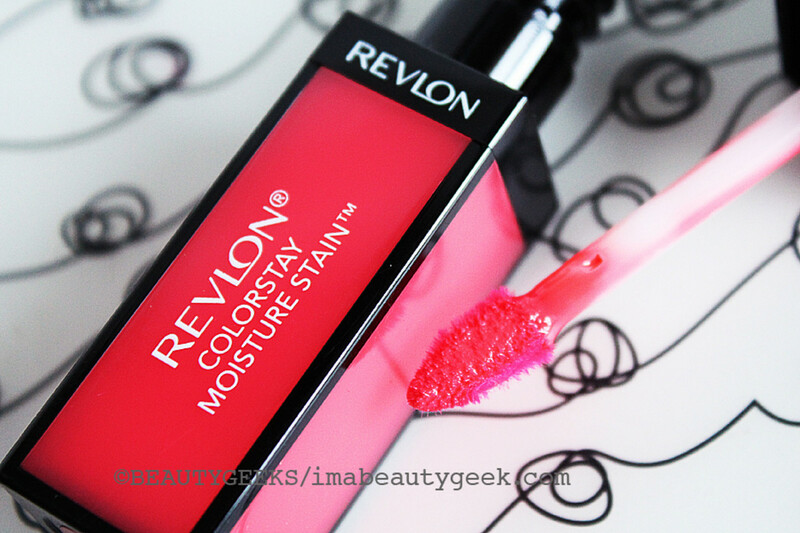 Revlon Colorstay Moisture Stain is available at drugstores and mass retailers for $12.95 each, and drugstore.com. Visit revlon.ca or revlon.com for more info. 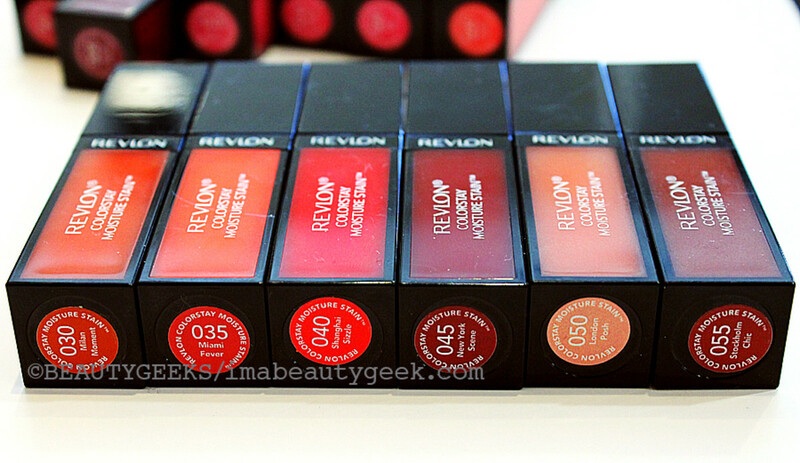 Have you tried any of the Revlon Colorstay Moisture Stain shades? Do you have a favourite? How does it wear for you? If you haven&apos;t tried one, do you think you might?